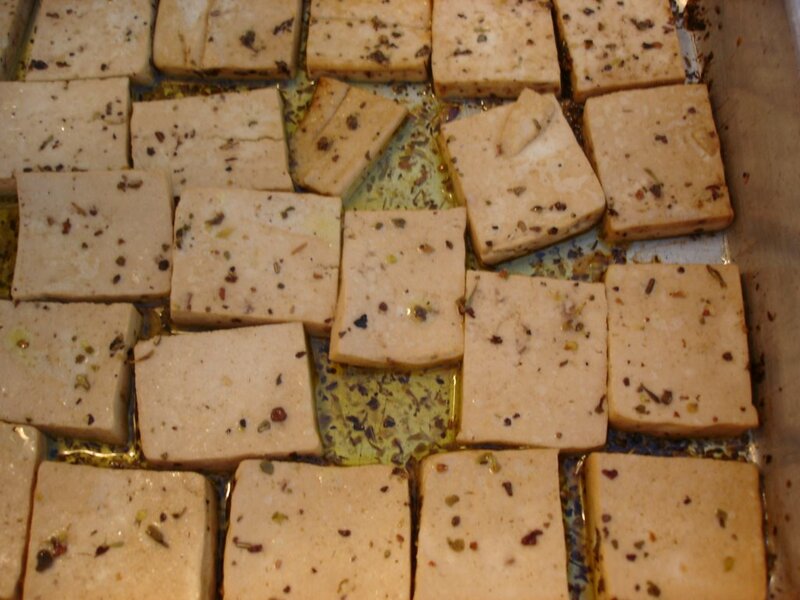 Well, I had heard so many great things about Dreena's Lemon Herb Tofu that I had to see what all the fuss was about. First of all it was great because it didn't take many igredients - really I had everything on hand, which is pretty impressive since I need to go grocery shopping this morning. It was delicious, both warm and cold. I haven't tried making it into a sandwich filling yet because I am still enjoying it with leftover salad. Next came a clean out the fridge salad. I used a leftover vinagrette that I had made earlier this week and then used up all the vegetables that I had in my fridge. This too was great for clean out the fridge. OK, this is just too funny. I was trying to decide what to make for dinner tonight. 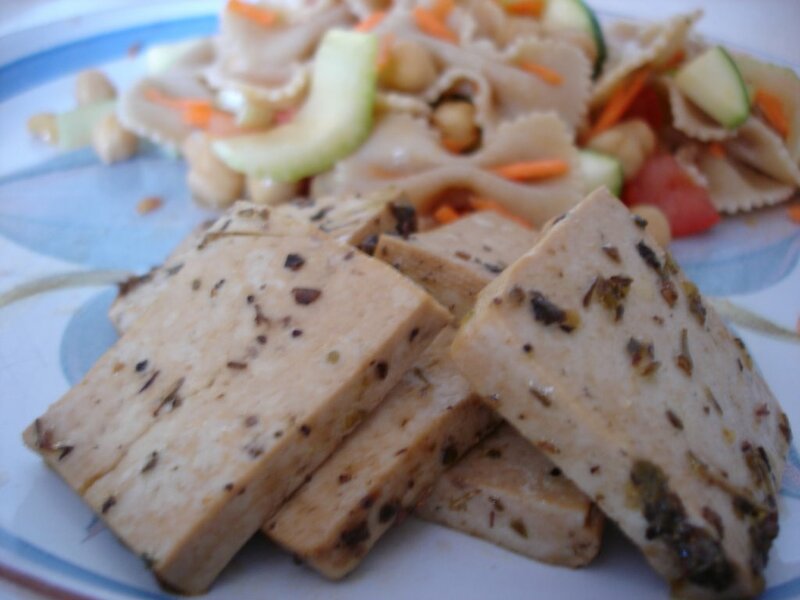 I was looking through Vive Le Vegan and was thinking of Lemon-Herb Tofu! But, I am home all day today and since that is so quick and easy, I decided to save it for a workday next week when I come home all tired and cranky. 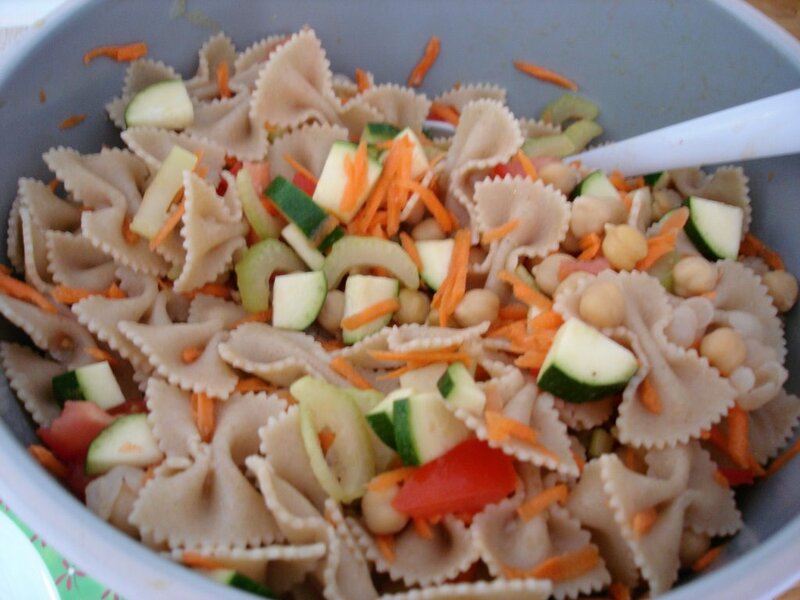 Then, as I scrolled down I saw...pasta salad! I have just finished making a macaroni salad to have later! How funny is that. Great minds think alike. (Or as my uncle is quick to point out - Fools never differ). No way Carrie.. I prefer great minds think alike! THe lemon tofu is really easy... and it tastes good. I think it is cool how we veggie bloggers are often on the same wavelength. Hope you are having a fantastic day my friend! I love that stuff too! I've wanted to make sandwhich filling from it to, but I never have leftovers! That's funny that we both don't have leftovers Megan! !